Since I first posted about BB creams last week, there was a huge amount of interest in the foundation/skincare/moisturiser hybrids. 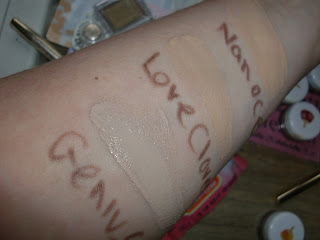 One lovely BBB reader is a BB cream afficionado and very kindly sent me a sample selection of her own BB creams to try. So, a big thank you to http://www.worshipblues.com/ (@CuratorofWHB on Twitter). 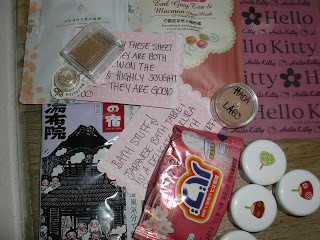 She also sent me a couple of intriguing sheet masks, a ‘cheerful’ scented bath powder from Kanebo’s Kracie bathroom brand, a Sakura fragranced Japanese Bath Tablet, and my first ever item of Majolica Majorca; a beautiful golden eyeshadow from Shiseido’s drug store line. It was like my birthday! 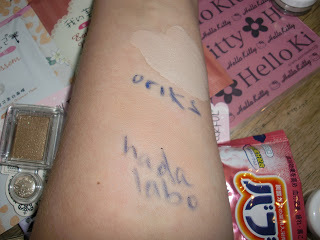 I’m so looking forward to trying them all, but here’s a little overview and the BB creams swatched on my arm and you can see the difference in shades and textures. 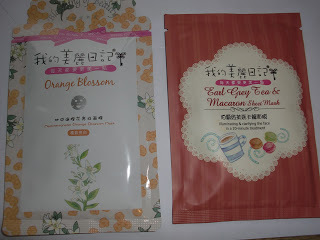 Sheet Masks: one Orange Blossom and the other Earl Gray Tea & Macaroon from My Beauty Diary, a Taiwanese brand hugely popular in East Asia. My gorgeous parcel with everything explained and labelled. WOW! The Hada Labo one looks barely there. That is a rather new release so I am curious to see how you like it. I know some of them look soooo off your skintone when you 1st apply them but give them a little time to air and most of the time, they have a habit of fixing themselves. 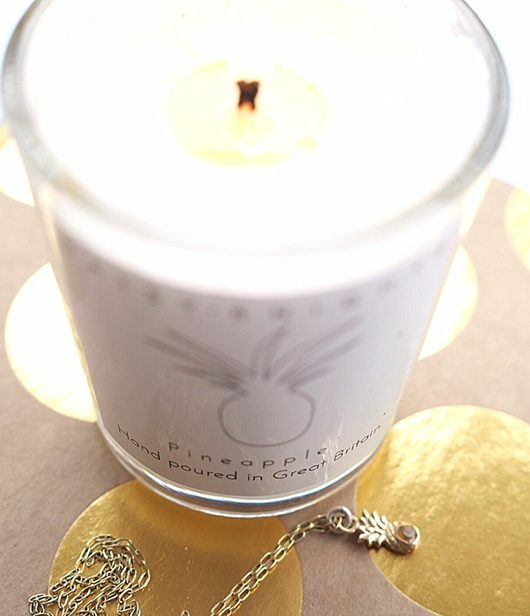 I cant wait to see what you think of these things! This stuff is fascinating. I’m always interested in what women in other countries use. I’m looking forward to reading your opinion of the products later. Oh wow! I love my beautiful diary masks, but I could only ever find them in Hong Kong or Taiwan. Are they being stocked here now? And interested to note that the BB creams *settle in*. I’ve written about them in my blog and I use them everyday. I live in London and I got my first BB cream when I was on holiday in Hong Kong. 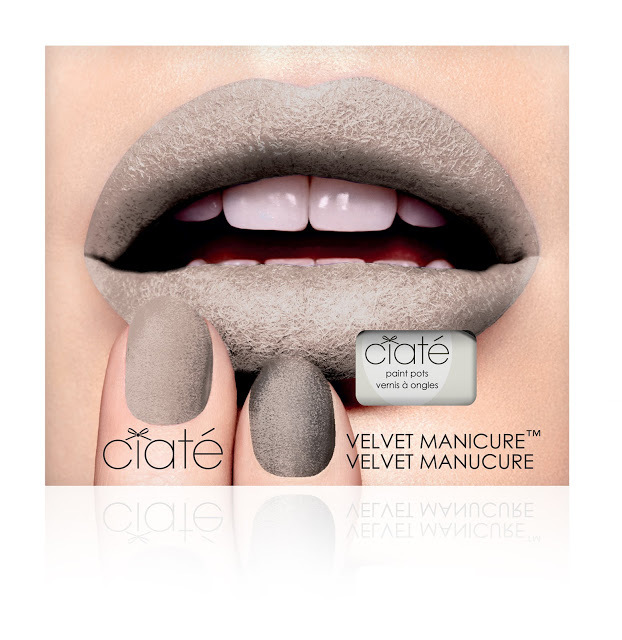 The Korean brands are the best and I swear by this product. The best one I tried so far is from Dr Jart. I wish I knew what brands are interested in a european market. I love BB creams, they are much lighter than foundation, have good coverage and there is of course the claim of ‘added skincare properties’. My only complaint is that sometimes they don’t blend very well. I really like Majolika Majorca as well; they make great mascaras with very unique wands and brushes! I’ve read raves about BB creams but never got to try them. Would be interesting to see what you think of them, seeing they’re probably more directed for Asian skin-type. I love Majolica Majorca! You should try their mascaras some day. It’s one of my Holy Grail mascara. 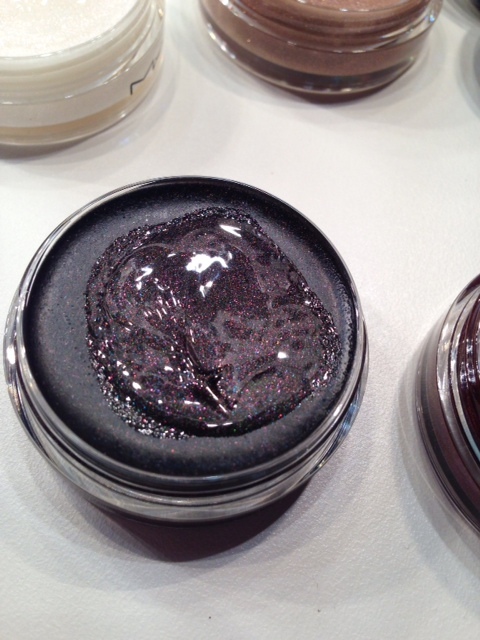 Bobbi Brown has just come out with a BB Cream that’s SPF 35! Selfridges has The New Origins Vitazing Spf35 BB cream- have u tried it- I want to purchase online as I live in South Africa- Any help would be great.